After the success of my first book, Autism Spectrum Disorders, which was the recipient of the 2005 Autism Society of America’s Outstanding Literary Work of the Year Award, Adolescents on the Autism Spectrum felt like a natural follow-up. 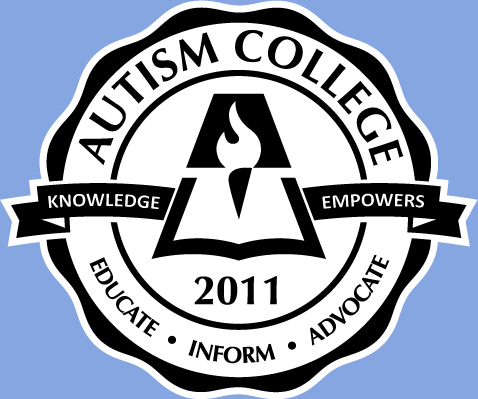 Jeremy, my son, was a teenager and I was having a difficult time finding answers to questions I had, and so did many of the parents and educators I knew, whether it was in relation to the more able teen or the adolescent severely impacted by autism. I decided to write a book much like the first one, but specifically geared towards the tween and teen years as a guide for parents and educators. My main concern was that we need to be aware that the teen years are the last years that our children will have supports mandated by the federal government, and that we really need to use these years to prepare them for the reality of the real world after high school, whether that means a few more years in a transition program, community college, trade school, a job, a career, a day program, university, living at home, or in supported living in the community, or on campus. The options are many depending upon the ability level of the individual, his hopes, talents and interests, and how much the parents and care providers can help get him where he wants to be. I hope both parents and educators will find this book useful. 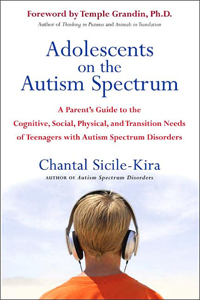 Earlier this year, I had the honor of reading Chantal Sicile-Kira’s book Autism Spectrum Disorders. With Adolescents on the Autism Spectrum, she has once again written a book that should be read by every parent of a child on the autism spectrum. Chantal provides useful, practical, and insightful guidance on topics ranging from transition to sexuality. These are tough topics and she handles them with tremendous wisdom, frankness and grace. Any parent who opens this book will find a wealth of incredibly helpful information. This book is available in the UK as “Adolescents on the Autism Spectrum” and is published by Random House.